The narrator in the middle section of Claudia Dey’s second novel is a dog who named herself Gena Rowlands, but that is not the strangest part. Heartbreaker opens in 1985 with a mystery. Billie Jean, who arrived in the place known as “the territory” (population: 391) 16 years ago – the only person to arrive since the community was founded – abruptly drives off, leaving behind her 15-year-old daughter, Pony, and husband, The Heavy. Where – and why? – did Billie Jean go? The territory is thousands of kilometres north of the nearest town, itself a seven-hour plane ride from the cities of the south. The codes of the territory are what make it strange. Part of the pleasure of this novel is piecing together the culture that grew in this petri dish of isolation, as told by people who have known only this. Describing it all here would take the fun out of it, but the reader can get a taste with the rules around male names. A boy becomes a man when he receives a nickname and that becomes his name for life. His birth name will never be spoken again. Wishbone, Sexeteria, Hot Dollar, Fur Thumb, Visible Thinker, Traps, The Heavy. Narrating the third section of the novel is Supernatural, the youngest in the territory’s history to receive a nickname. By the territory’s standards, Supernatural is an adult, has been for years, but his telling of Billie Jean’s disappearance reveals all the ways he still wrestles with adolescence’s uncertainties. Readers are perhaps used to encountering an intentional community as outlandish as the one Dey describes, but in the form of a cult. Certainly the territory started that way: Five decades prior to the novel’s events, the founders of the community broke off from society and travelled north, following a charismatic leader named John who had ideas about starting a new civilization. As Pony describes it, “We started as a single busload searching for the end of the world.” But then John the Leader died a year into the founding of the new community. 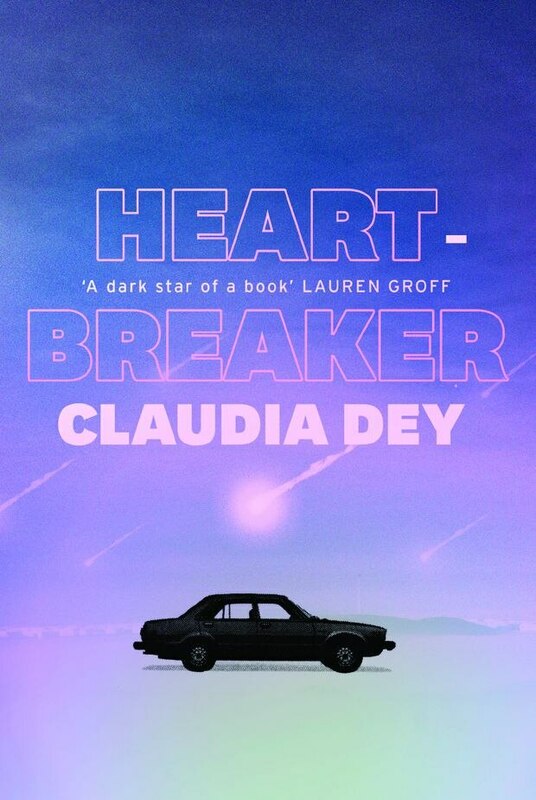 Absent an obvious guru or fanatical fervour, Heartbreaker doesn’t read quite the same as recent cult fiction. Instead, it brings to mind Sun Belt’s 2015 experimental fiction Cabalcor: An Extracted History, which tells the story of a fictional tar sands company town, its unique culture and demise. People continue to live in the territory because they can’t imagine living anywhere else, but from the beginning, there’s a desperate edge to Dey’s novel that can’t be attributed to Billie Jean taking off, winter’s onset in the north, or a small town’s accumulation of secrets. What accounts for that metallic bite is the territory, like Cabalcor, is a one-resource town past its boom. How does this setting serve the larger story? Dey’s first novel, 2008’s Stunt, also involved parental disappearance, but that book took place in the Toronto neighbourhood of Parkdale. The territory’s difference is its self-imposed separation from the rest of the world. The people of the territory have no compass to orient themselves for the question of why Billie Jean left. For the reader, there’s an overlaid mystery: What is going on in this town? Understanding why Billie Jean, a woman who loves her daughter with a fierceness the other territory mothers underestimate, would leave Pony behind requires understanding this place, but from an outsider’s perspective. Dey metes out this information slowly. Pony, Gena Rowlands, Supernatural: Each tells their story without an ear for what the reader will find significant. What emerges from beneath the details of territory life is a completely unsaccharine novel about motherhood as a force, the way a storm is a force. Gena Rowland’s mother told her pup everything Gena would need to know, because dogs don’t assume the future. Billie Jean did not do the same with her daughter. Pony hungers to understand where her mother came from, “anything that told me what she felt, loved, protected, lied about, thought of, had been.” That Billie Jean withholds her past at first seems cruel ­– later, it looks more like a plan. Not to assume, but to carve out a future.